Leeks are one of those crops that take me a bit of extra effort to grow. They are the longest season crop we grow-the first to start in the greenhouse in late February, the first to transplant outdoors with our onions, and the last thing we harvest in November. I’ve never been satisfied with the leeks I’ve grown. Supermarket leeks are generally really long, and fat and that has never really been what my leek crop look like. Sam says I only make this face at vegetables. In season: Fall and winter. 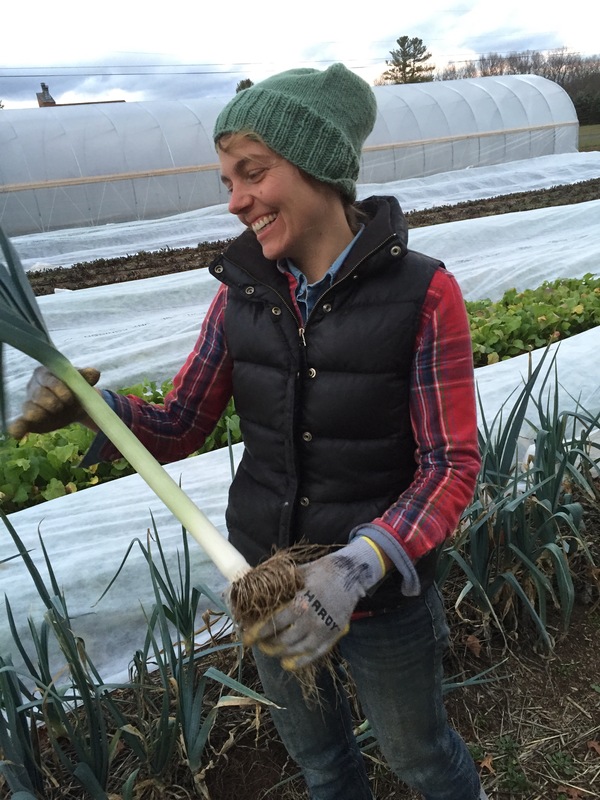 Leeks are harvested from the field in October and November. Like many of the crops we grow, we store most of the harvest in cold storage for a few months. Shelf life: The leafy green part of the leek last only a few weeks. The long stems can last a month or so in your refrigerator. How to prep: Trim the roots, and any blemished green leaves. First a grit get caught up in the layers of the leek. Rinse the leeks after they have been chopped to deal with the dirt.